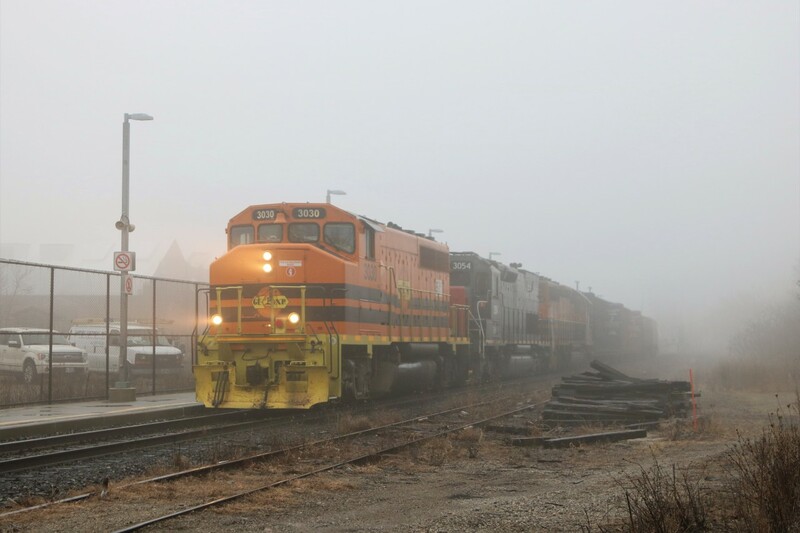 Railpictures.ca - BPurdy Photo: GEXR 3030 with GEXR 3054 and GEXR 3394 work their way through the light rain and fog as they head through the Acton Go station. | Railpictures.ca – Canadian Railway Photography – photographie ferroviaire Canadienne. Copyright Notice: This image ©BPurdy all rights reserved. Caption: GEXR 3030 with GEXR 3054 and GEXR 3394 work their way through the light rain and fog as they head through the Acton Go station.